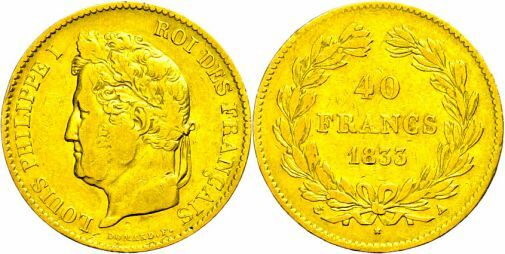 40 Francs Gold, 1833, A (Paris), Louis Philippe I., Fb. 557, kl. Rf., ss.